If you an avid fitness fan who runs, walks or cycles on the roads in the early morning or evening, you need protective gear that ensures your safety. Add a reflective cap to your kit and make sure that you are seen by passing motorists. 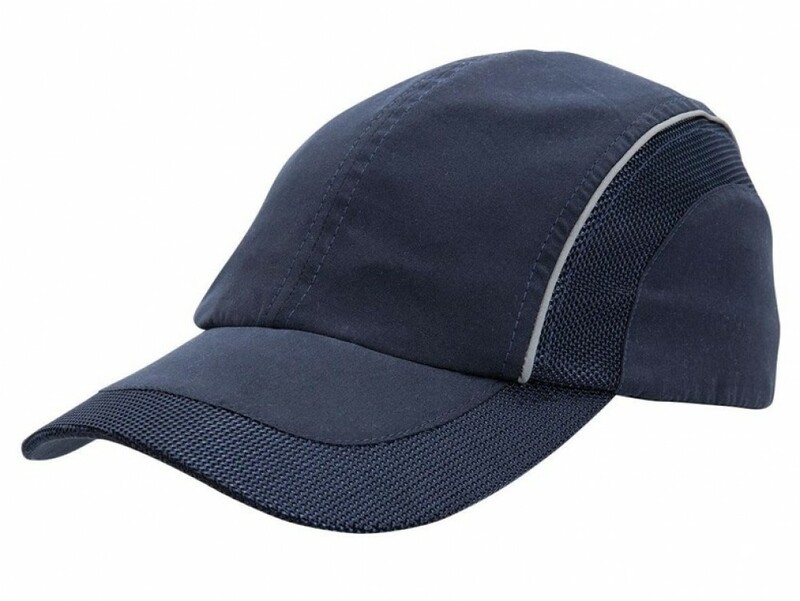 The cap is manufactured from a microfibre fabric which is lightweight and has the ability to wick moisture away from the body, always keeping you dry and cool. Mesh panels on the side add to the sporty design and offer maximum breathability and comfort. Reflective trimmings are placed on the top of the side mesh panels for extra visibility. They will light up when a car's light shine on them, allowing you to be clearly identified even from a distance away. The microfibre fabric is easily maintained by rinsing in cool water and allowing it to air dry. The cap comes in a choice of black, navy and white, ideal for embroidering with your personalised corporate logo or team's emblem. Offer these caps to spectators at your outdoor sports event, team building occasions and to delegates who attend conferences. They are the ideal promotional gift to get maximum brand exposure.